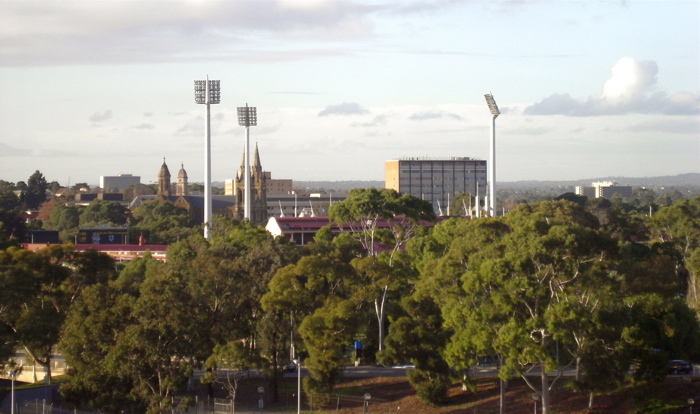 People often relocate to Adelaide because of the beauty and the lifestyle, the smaller population and the general sense of not-quite-a-city-and-bigger-than-a-country-town. Sometimes those same people complain about Adelaide being slow to change and resistant to development whilst also appreciating the things that make this city unique. 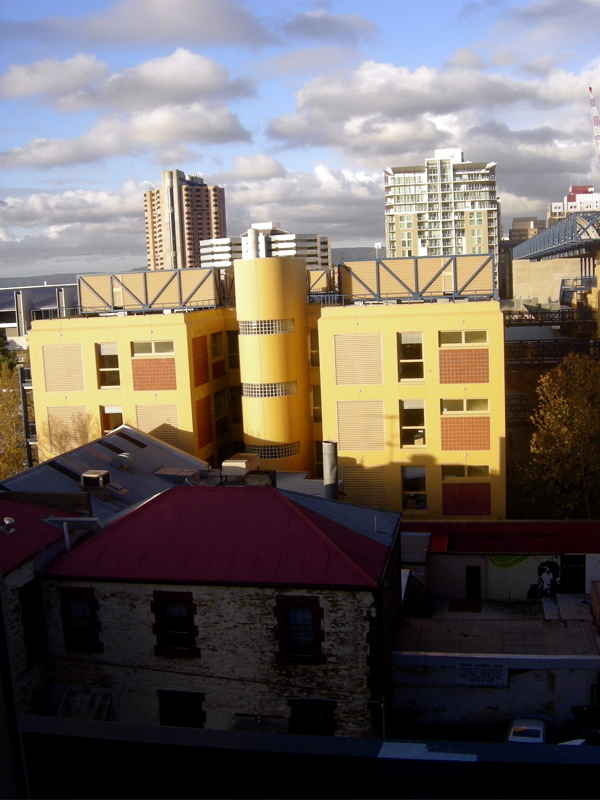 Heritage listed buildings (there are many) are protected from the 21st centuries vastly different architecture, though sometimes only the outer facade remains as the inside of the old blue stone buildings undergo radical surgery and extraction of almost all body parts. The other day we were attending an event in the relatively new Mawson building in North Terrace and looking out of the window I was taken by the light of the late afternoon sun and how the new overshadows the old along this stretch of the city that overlooks the railway station and River Torrens behind it. It is a good place to live and the surrounding country side produces some of the best wines from MacLaren Vale through to the Barossa Valley, from grapes that are perfectly suited to this climate. The hills form an arc shaped range and we are nestled between the hills and the sea and the land in and around the city and in the further afield country side is rich in the Dreaming stories of the Ngarrindjeri, Kaurna and Nurrunga people – three of the largest tribal groupings of this part of the land.. The Adelaide Central markets offer fresh, locally grown fruit and vegetables, breads, cheese and scrumptious cafes and all along Grouger and Grote streets, (the back and front of the market) there is a wide vareity of restaurants and more cafes that are a constant reminder of how truly fortunate we are to be living in a place such as this.